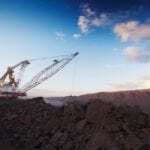 Japan’s Sojitz is plotting the restart of the Gregory Crinum coking coal mine in Queensland after completing a $100 million acquisition of the site from BHP Mitsubishi Alliance (BMA). The operations, which were placed on care and maintenance in January 2016, had a capacity of six million tonnes a year when production stopped. 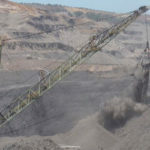 Sojitz plans to ship its first cargo of coal from the mine during the second half (starting October) of the company’s financial year following a proposed restart during its first half period. The company pursued the acquisition as part of a strategy to rebalance a bias towards thermal coal operations in its asset portfolio. Sojitz explained the strategy was in light of mounting environmental concerns around the globe, as well as for the long-term sustainability of its business. 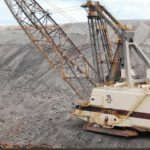 “The acquisition of this coking coal mine is part of that initiative, along with the agreement to sell its stake in the BAU thermal coal mine in Indonesia, announced on March 11,” Sojitz stated. Gregory Crinum, 60 kilometres north-east of Emerald, comprises the Crinum underground mine, Gregory open cut mine, undeveloped coal resources and on-site infrastructure, including a coal handling and preparation plant, maintenance workshops and administration facilities. “Sojitz will also continue with the progressive rehabilitation of the mine (returning the site to a suitable post mining landform) as per the statutory requirement,” Sojitz added. BMA decided to sell the mine after a review found there is potential for another operator to realise greater value from the site. Asset president James Palmer praised the opportunity the sale presented for the region, as well as more broadly across Queensland. “We wish Sojitz well in its plans to recommence production at Gregory Crinum. This will provide new job opportunities and trade benefits for the people of central Queensland, as well as increased royalties and taxes to benefit the state,” Palmer said. BMA will provide funding for the rehabilitation of existing areas of disturbance at the Gregory Crinum site, with Sojitz to take on all rehabilitation liabilities. Mitsubishi, meanwhile, stated the divestment of Gregory Crinum was part of a strategy to improve its assets while maintaining its size. “In conjunction with these efforts to optimise its asset portfolio, Mitsubishi Corp is committed to enhancing the competitiveness of its existing assets through continuous endeavours aimed at reducing cost and improving productivity,” Mitsubishi stated. The deal was announced on May 30 last year.